Many of the reviews I have done over the time since I started wet shaving have been of high end soaps and creams. That’s just the way it tends to be – I mean why not show off your best right? A lot of us forget that out there in the wet shaving wild there are dozens if not hundreds of everyday soaps and creams that are priced from less than a dollar to the mid twenties and all points in between. 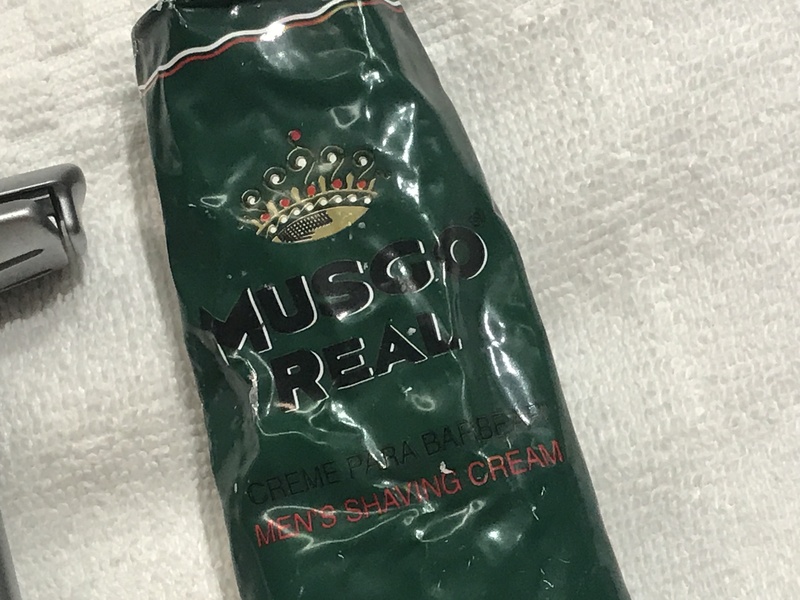 One such soap I used today – Musgo Real. Now Musgo Real is, in my opinion, worthy of a place in everyone’s shave chit. Mugso Real is a light very pale green cream soap from Portugal – you can find it HERE. The fragrance is what I can only describe as manly, barbershop, masculine and just nice. Soapy – yes. The fragrance notes on their website simply says “Woody and Oriental” but to me it is much more complex than that – yes those notes are there and can be detected but that is behind the soapy smell – the soapy smell of a laundry day with your Mum, the scent of a freshly dried cotton bed sheet that has been washed by that same Mum and then dried in the glowing sunlight of a summers day – y’getting it? “Musgo Real was first launched in the 1930s, and it remains a classic, found in Portuguese houses over several generations. The brand retains its masculine aesthetic, while the products, offered in four different fragrances, have kept their rich formula. Luxury masculine aesthetic products with vintage inspiration!! I completed a three pass with plenty of lather to spare.I cut my nose, just I was feeling smug the Feather cut me. Styptic. What can I say, if you don’t have Musgo then you NEED to buy some. My tube has a darker green colour and the current tube colour is a lighter shade but it is the same great soap.